This distinctive author of novels, feuilletons, theatre and film scripts, was one of the first people to be awarded the Jiří Orten Award. She was born in Prague on 24 April 1957 and is the third daughter of writer and playwright Pavel Kohout and his second wife Anna Kohoutová. After finishing secondary school she signed Charter 77 and attended underground lectures. She acted in theatre productions put on by the dissident community. Her most significant work is the novel Rok Kohouta (Year of the Rooster), which has been published in German, Spanish and Hungarian. Boučková stops each of her characters in front of the abyss of pathos and heart-rending cries, she leaves them to sober up from the first, deepest cut of sadness and throws them into another life. 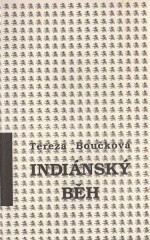 Boučková’s first work came out in samizdat form at the end of the 1980s, a collection of three short stories called Indiánský běh (Indian Run), which won the Jiří Orten Award in 1990. The book was subsequently published in various editions. 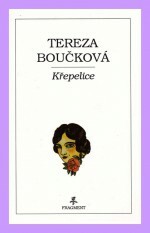 She added to her prose work with the novella Křepelice (The Quail) and the short stories Krákorám (Crowing) and Když milujete muže (Loving a Man). Her central influence is her experiences from the dissident years, which revealed the tangled interpersonal relationships which we are used to idealizing, all to the backdrop of communist totalitarianism. In the 1990s Boučková wrote plays and feuilletons. 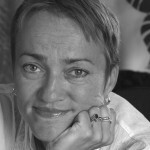 The publishers Větrné mlýny brought out the first collection of these in 2003 and Petrov published a collection of her feuilletons a year later. 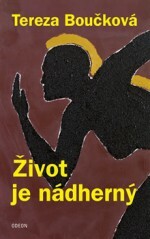 In 2014 the publishers Knižní klub brought out the collection of feuilletons Boží a jiná muka, fejetony o lásce ke kolu (Gods and other Tortures: Feuilletons on Loving Bicycles). In 2002 Zdeněk Tyc directed the film Smradi (Brats) based on her screenplay. In 2009 Irena Pavlásková directed Zemský ráj to na pohled (An Earthly Paradise of the Eye to Behold), again based on her screenplay. 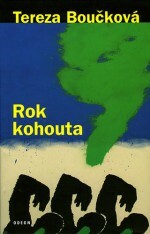 The author’s most important work is the novel Rok kohouta (Year of the Rooster, Odeon, 2008), which in diary form records her life from August 2005 to July 2006. “I can’t tell you the amount of artistic licence used. It’s not a diary, but a novel. But it’s obviously a very autobiographical novel,” she explained. As in Brats, Year of the Rooster also examines the upbringing of two adopted sons, who are soon to be followed by a child of her own. Parental disillusion is also accompanied by a creative crisis: “A writer who can’t write. A dreadful anxiety. I don’t tell anyone. It wouldn’t help anyway. I have this anxiety and I have to deal with it.” Despite the fact that the book was a bestseller for that year and received rave reviews, surprisingly it was not nominated for a Magnesia Litera. 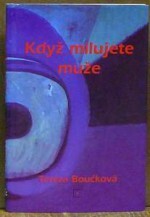 In 2013 Tereza Boučková published a collection called Šíleně smutné povídky (Madly Sad Stories), where her main characters have to deal with grief, betrayal, illness and the loss of their life motto of “Fight on and endure”.